Cyrus Bolden is a Veteran of the United States Air Force, and combines an educational background in Computer Science with “in the trenches” Litigation Support experience. 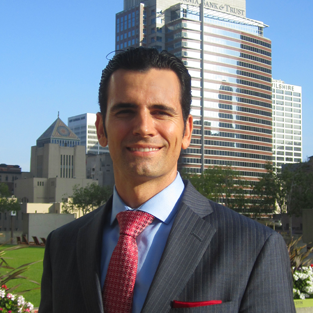 Cyrus worked within the Litigation Support and Information Technology departments of a Phoenix-based law firm, Jones, Skelton & Hochuli PLC and the Los Angeles office of a Top 50 AM Law Firm; McDermott Will & Emery, LLP. Additionally, Cyrus combines over 6 years of high-tech recruiting experience as an Account Executive at top staffing firms such as Robert Half Technology, Kforce, and Modis. During his tenure with these companies, Cyrus was instrumental in developing and servicing the recruiting needs of law firms and corporations throughout Los Angeles, San Francisco and Silicon Valley. Since joining LTS, Cyrus has helped propel the careers of hundreds of Legal Technology professionals within Law Firms, Corporate Legal Departments, E-Discovery Software Manufacturers, E-Discovery Service Bureaus and Government Agencies throughout the United States and around the globe. Cyrus is committed to finding and recruiting the absolute best talent for his clients. His bold and passionate approach is what distinguishes him from other recruiters. Cyrus blends a tremendously effective combination of exceptional networking skills, technological know-how, and a true consultative approach to bridging conversations between job seekers and prospective employers alike. When clients and candidates need results, they know they can rely on Cyrus to deliver. Cyrus has done a great job bringing us quality candidates. It is so hard to find the right people, so I appreciate having a resource to turn to that can bring me the quality applicants we need to serve our firm. We will continue to use Cyrus when we have vacancies. I've known Cyrus for many years; both personally and professionally. I met him during my tenure at Encore Legal and immediately found him to be extremely knowledgeable of both Litigation Support hiring trends and emerging Electronic Discovery technologies. Having worked in large law firms himself, I knew Cyrus had an intimate exposure to "big-firm" culture which was consistent with my aspirations of moving away from the vendor environment. He was quickly able to leverage his first hand knowledge of law firm hiring processes and key relationships, into my first law firm Litigation Support position at Sidley Austin, LLP. Leaving the vendor side of the house was a big jump forward for me and Cyrus played a critical role in making that happen. To top it off, Cyrus again delivered on his mastery of the process by helping me garner my most recent position at Quinn Emanuel. One of the biggest differentiators between Cyrus and other recruiters I have met is his precision and mastery of the overall hiring process inherent to the Litigation Support community. Not only was he able to present me with higher paying opportunities, but each were consistent with my long term career goals and specific work life balance. His insightful perspective to where each position would take my career long term was an invaluable part of my decision making process. He?s been a trusted partner and a true professional throughout various transitions I have made in this industry. I would highly recommend his services to anyone seeking new opportunities in Litigation Support or Electronic Discovery. Cyrus has been a huge advocate of my career advancement and is very knowledgeable about legal technology and EDD hiring trends. He placed me with Greenberg, Traurig, where I've been happily employed for 5 and 1/2 years. I highly recommend Cyrus for any of your Legal Technology Staffing needs. Cyrus is a key member of the Legal Support Community. He is very knowledgeable about trends related to legal technology; specifically eDiscovery. Cyrus has always been generous with his time and expertise. I am appreciative for all of his efforts in assisting me to build my team and in furthering my career.